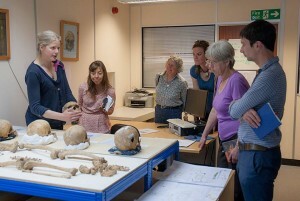 In June 2015, a limited number of SMA members attended a special event with Oxford Archaeology’s Burials Services Department. Members had the opportunity to meet the team, examine some remarkable material,and hear about the work of the Department, more specifically, the excavation at Stoke Quay. complete cemetery of the ‘lost’ church of St Augustine, as well as a number of Saxon barrow burials associated with the middle Saxon emporium. Evidence suggests that the St Augustine’s cemetery originated in the tenth century and remained in use until the fifteenth. These excavations thus provide an exceptional opportunity to examine changes in demography and burial practice in an urban parish from the period of the Conversion to the Reformation. 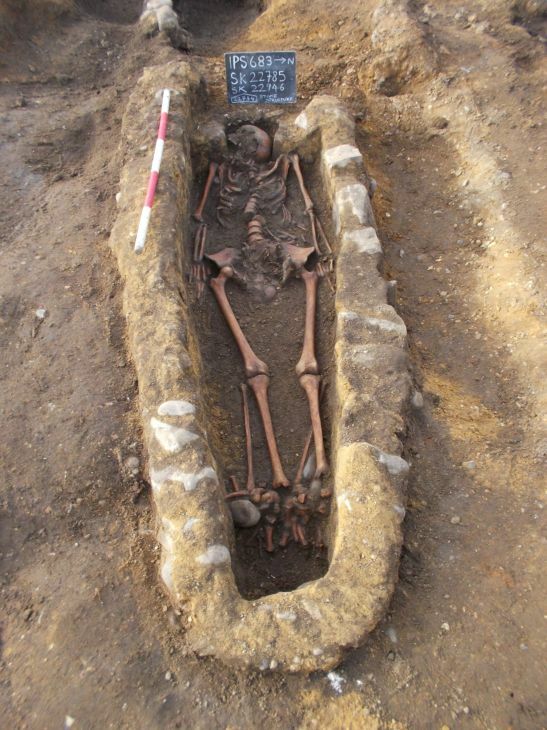 Over 1100 burials were excavated by a team from Oxford Archaeology and Pre-Construct Archaeology. 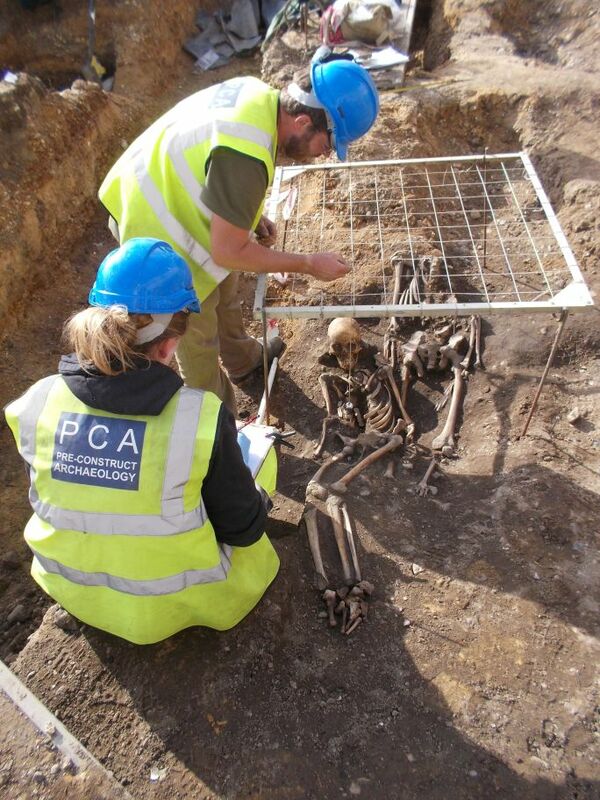 T hese are now being fully analysed by Oxford Archaeology’s Heritage Burial Services department. Analysis has so far revealed an individual from a ‘clench bolt’ burial with leprosy; a high prevalence of healed trauma with evidence for disability, and a rare and unexplained case of sharp force modification from the nave of the church. Future work will focus on urban health, nutrition, morbidity, demography and population mobility.